Result : New Zealand won by 8 wickets. Player of the Match : Martin Guptill. Another poor display from the batsmen have cost the series for Bangladesh as the hosts clinched the second ODI by 8 wickets and took a 2-0 lead in the three-match series. Third and final match of the series will be held on February 20 at Dunedin. Earlier, New Zealand won the toss and decided to bowl first at Christchurch. Bangladesh have lost their both openers early as Tamim Iqbal fell for 5 while Liton Das followed him scoring 1. 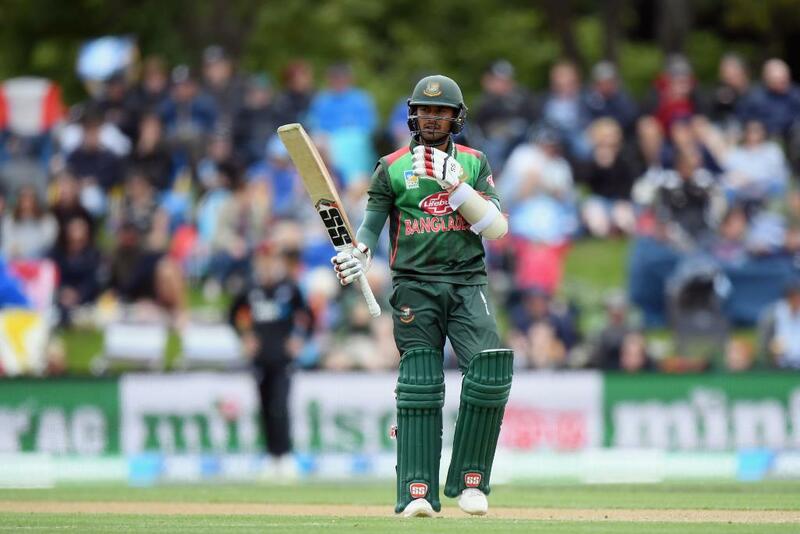 Soumya Sarkar and Mushfiqur Rahim then added 32 runs in the third wicket before de Grandhomme got rid of Soumya on 22. Mushfiqur too dismissed after couple of overs for 24. Tigers were in all sorts of trouble after losing Mahmudullah on 95 runs in the board. Just like the first ODI, Mohammad Mithun again stood up in trouble and scoring his second fifty of the series. This time he got the support of Sabbir Rahman who contributed 43. Mithun was dismissed for 57 after adding 73 runs with Sabbir in the sixth wicket which helped Bangladesh to post 226 before all out in 49.4 overs. Lockie Ferguson picked up 3 wickets for 43 for the Kiwis. In response, it was again Martin Guptill show who scored back to back hundreds to guide his side to a comprehensive 8-wicket victory inside 36.1 overs. Kane Williamson was unbeaten on 65 and Ross Taylor was on 21. Mustafizur Rahman grabbed the both wickets of Guptill and Henry Nicholls for 42.